A solo exhibition by US realist painter S. J. Fuerst opened yesterday at Lily Agius Gallery in Sliema. 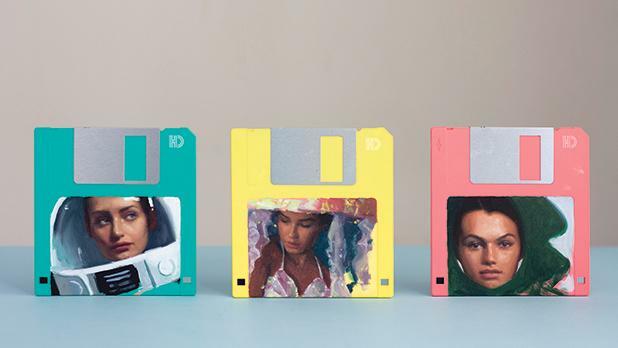 Entitled Forest Fresh, the exhibition comprises 11 variously scaled oil paintings, along with sketches executed in the same medium on floppy discs. Playing off the exhibition’s title, which takes its name from one of the works in the show, the artist created a walk-through installation made up of 16 undecorated, artificial Christ­­mas trees, along with an audio soundtrack of birdsong and pine scented air-fresheners. The exhibition runs at Lily Agius Gallery, at 54, Cathedral Street, Sliema, until April 20. Opening hours: Monday to Saturday from 10am to 1pm and from Tuesdays to Fridays between 3 and 6.30pm. For more information, visit www.lilyagiusgallery.com.